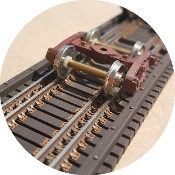 In this section you will find all the tie strip(s) material Central Valley Model Works has to offer for building the most realistic scale track work on the planet. 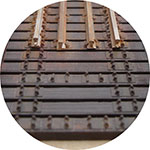 At this time the CVT tie material does not include any rail. 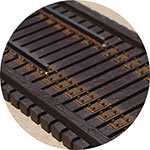 Classic original 25' Bridge ties for code 83 rail. 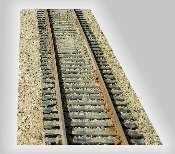 Dual Gauge HOn3l 25' Bridge ties for code 83 & 70 rail. Gauntlet 25' Bridge ties for code 83 & 70 rail. Thank you for visiting Central Valley for your scale track needs!